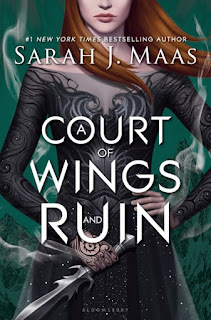 Good Choice Reading: A Court of Wings & Ruin by Sarah J. Maas Virtual Signing! A Court of Wings & Ruin by Sarah J. Maas Virtual Signing! The day is finally here! You have begged and requested this virtual signing for months and here it is!!! 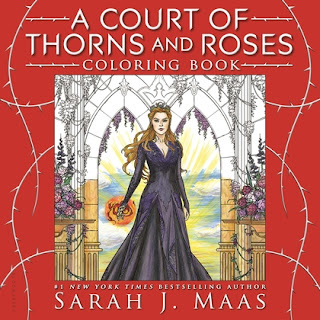 Not only can you order a signed personalized copy of ACOWAR, but you can also order A COURT OF THORNS AND ROSES coloring book. All books will be signed on or around release day (May 2nd) and at Barnes & Noble Neshaminy Mall and shipped the following day. This event closes on April 21st at midnight. After April 21st there are no refunds as all the books would have been ordered and ready for signing. Good Choice Reading/Barnes & Noble will not be held responsible for any lost, stolen, or damaged mail. You will have to file a claim with the post office. All packages are insured up to $50. Note: On January 22, 2017, USPS raised their priority mail shipping by $.50 or more for US residents. Sarah J. Maas will be signing EVERY book placed through our website. However, she will only be personalizing A COURT OF WINGS & RUIN.